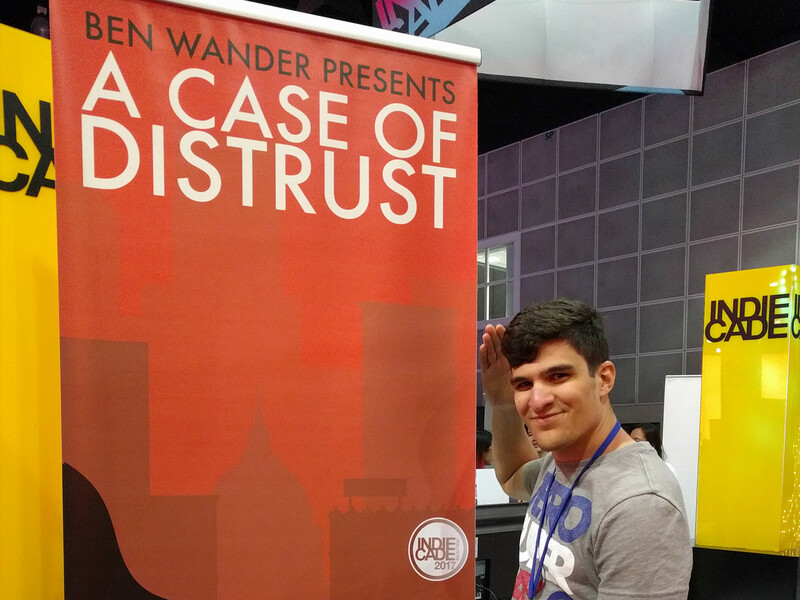 A Case of Distrust was selected for IndieCade 2017 in the Documents section. The festival was hosted by the Japanese American National Museum in Little Tokyo, LA. My experience was incredible! Each creator showed an innovative or evocative piece, and most attendees were developers themselves who asked thought-provoking questions. The lunch conversations, the drinking exchanges, the informal meetings — every interaction was filled with passion and veracity. And the game showed in a quiet setting, with seating for devs, which was nice. Taylor Pereira, one of my childhood friends, will be doing additional character art for the game! I recruited him as a roadie for E3, and that experience inspired him to get into the art of video games. I’m excited to have him on board to help finally finish this game. The game is on Steam! You can now add it to your wishlist and track the game’s progress over there. One step closer to launch — expect pre-orders soon! Now that Taylor is a publicly known figure, it should be mandatory for him to be on social media.